A hot bath is a relaxing way to unwind at the end of a busy day. 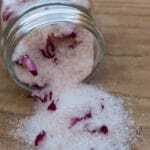 It can be especially beneficially when you add detox bath salts that help to remove toxins and promote peaceful sleep. 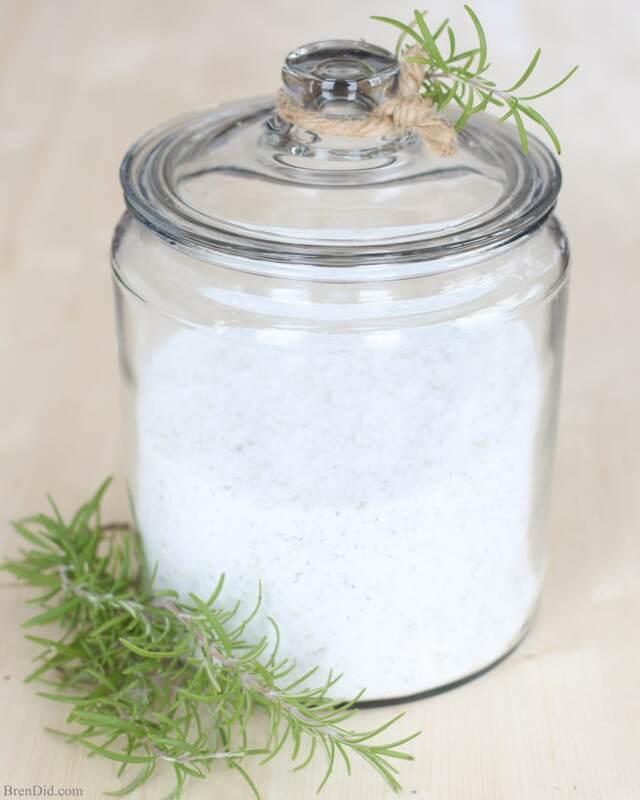 This all-natural Rosemary Chamomile Detox Bath Salts recipe uses simple ingredients to prepare an inexpensive but luxurious detox bath. Why do I enjoy detox baths? Increasing my magnesium levels by taking a hot bath with detox bath salts before bed helps me sleep better, calms my restless leg syndrome, and makes me feel less stressed. Epsom salt baths are my favorite way to naturally increase magnesium levels. They are a de-stressing ritual at the end of the day and can feel like a high-end spa treatment with the right ingredients. Detox baths are a natural body care practice based on the idea that toxins can be drawn out of the skin (our largest organ) by soaking in a hot bath that contains purifying substances. Common additives to detox baths include clay, mineral salts, Epsom salts, baking soda, essentials oils, and herbs. 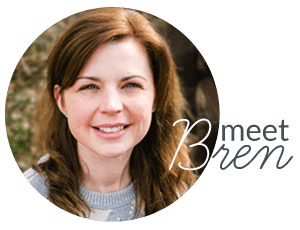 My favorites are Epsom salts, baking soda, and essential oils. Detoxification baths are recommended during detox diets by many medical experts. Dr. Mark Hyman recommends a nightly detox bath when giving up refined sugar in his book The Blood Sugar Solution 10-Day Detox Diet . He suggests a nightly detox bath that uses hot water, Epsom salts, baking soda and lavender essential oil. He recommends soaking in the bath for 20 -30 minutes a night to aid in sleep and help relieve stress when you are dieting. Dr. Hyman believes this detox bath process can aid in weight loss and the reduction of sugar cravings. This detox bath recipe uses four simple ingredients that promoted stress release, aid in sleeps, and can assist with weight loss. You may already have many of them in your home. 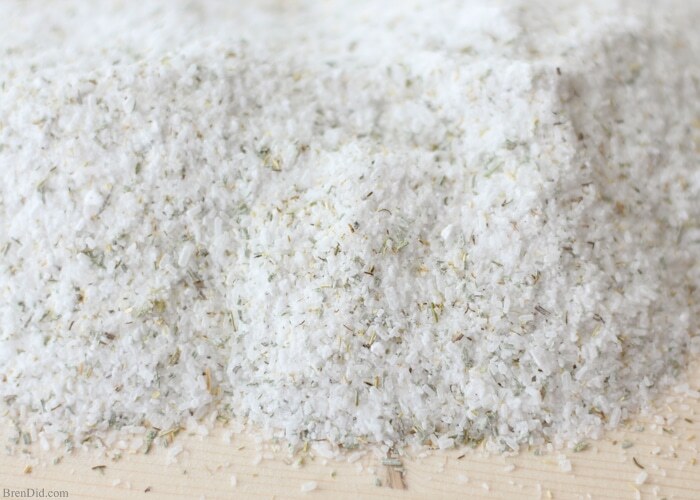 Magnesium Sulfate: Popularly known as Epsom Salt. Soaking in Epsom salts is an excellent way to transdermally absorb magnesium which is used for treating anxiety, chronic fatigue syndrome (CFS), Lyme disease, fibromyalgia, leg cramps, migraine headaches, premenstrual syndrome (PMS), restless leg syndrome, skin infections and more. 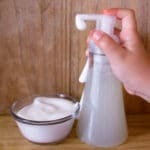 Sodium Bicarbonate: Popularly known as Baking Soda. Sodium bicarbonate makes bath water alkaline which can assist with detoxification and the absorption of the other detoxifying ingredients. Baking soda also soothes irritated skin, relieves pain or itching, and leaves the skin feeling silky. 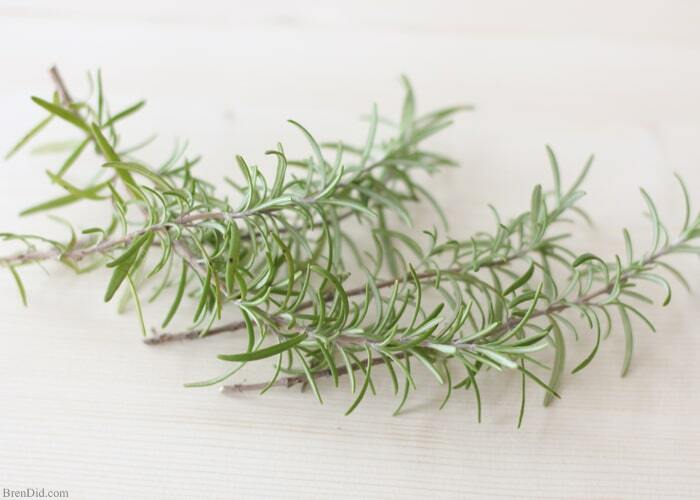 Rosemary Leaves and Essential Oils: Rosemary is a fragrant evergreen plant that is commonly used in aromatherapy to stimulate blood circulation, relieve headaches and muscle aches, reduce stress, and boost the immune system. It is also used topically to treat skin conditions such as eczema and in bath therapy. Chamomile Flowers: Many people know chamomile tea as a relaxing drink. It is also a calming, soothing herb with anti-inflammatory properties. Chamomile is used for soothing skin ailments including eczema and hemorrhoids. It also has anxiety reducing qualities and is used to treat sleep disorders. 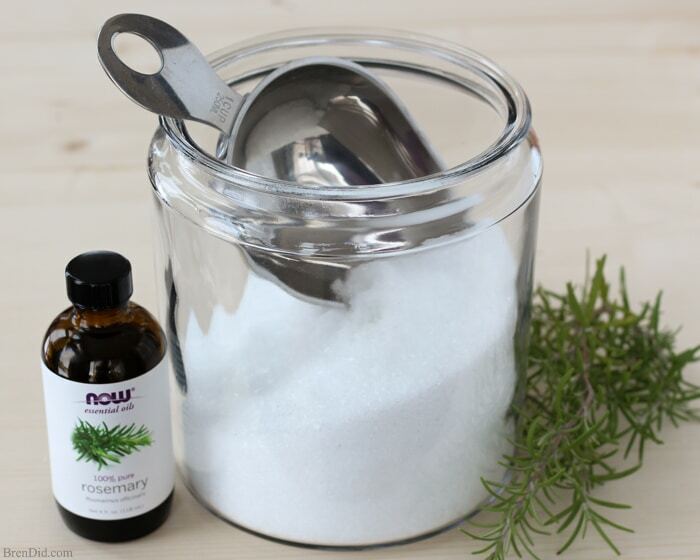 Mix rosemary essential oil into the Epsom salts. 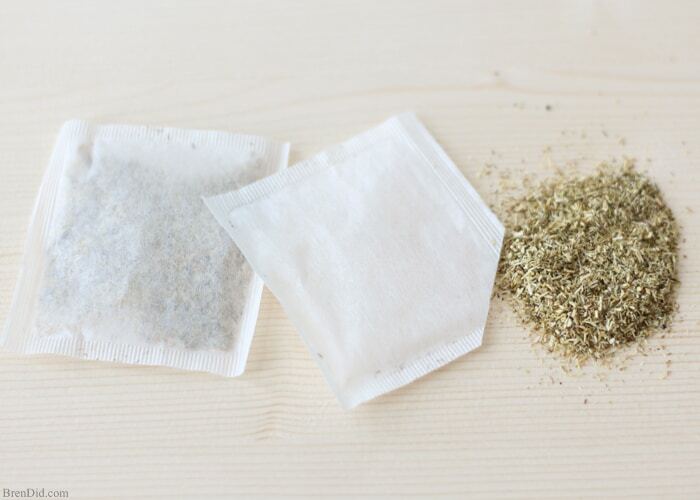 Crush rosemary into fine pieces and pour into Epsom salts with the contents of the chamomile tea bags. 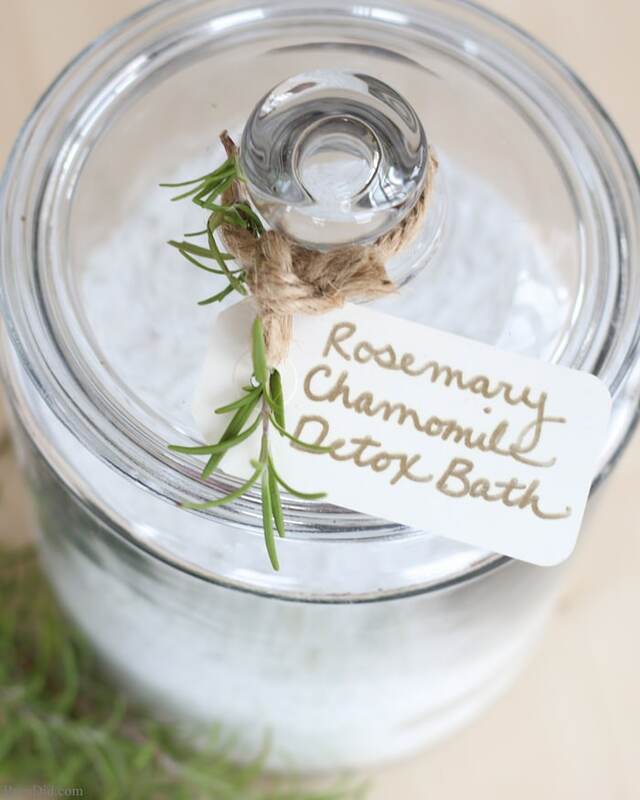 Take a Rosemary Chamomile Detox Bath or try my Magnesium Rose Bath Salts at night just before going to bed. A nighttime bath ritual is a great way to relax, reduce stress, and avoid late night food cravings. To prepare a bath: Fill the tub with hot water. 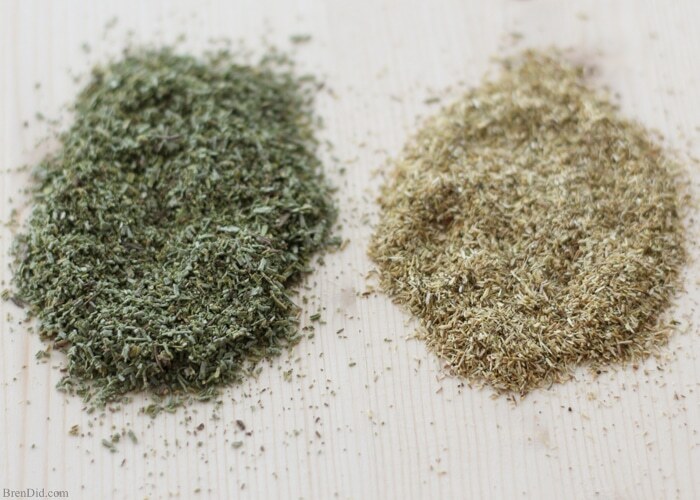 Add 2.5 cups of Rosemary Chamomile Detox Bath salts then soak for 20-30 minutes. Add music, candles, a good book or an interesting podcast to make bath time more enjoyable. Make sure to have a cold glass of drinking water within reach to re-hydrate during the bath. 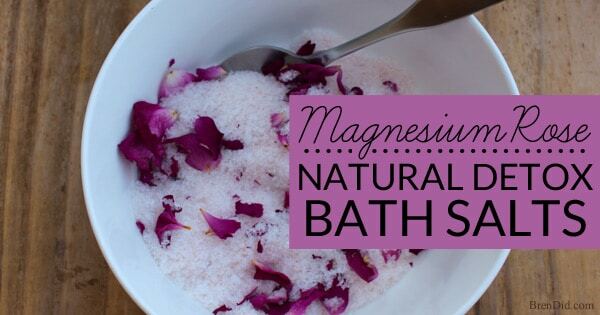 If you have any medical conditions or take prescription medicines you should consult with your doctor before taking a detox bath or using magnesium. Hot bath water can cause dehydration and dizziness. You should drink lots of water while taking a detox bath and never take a detox bath when using drugs or alcohol. This information is provided for educational purposes only and has not been evaluated by the Food and Drug Administration. This information is not intended to diagnose, treat, cure, or prevent any disease. This easy all-natural bath products soften skin, promote detox, aid in sleep, and relax tired muscles. Try one today! 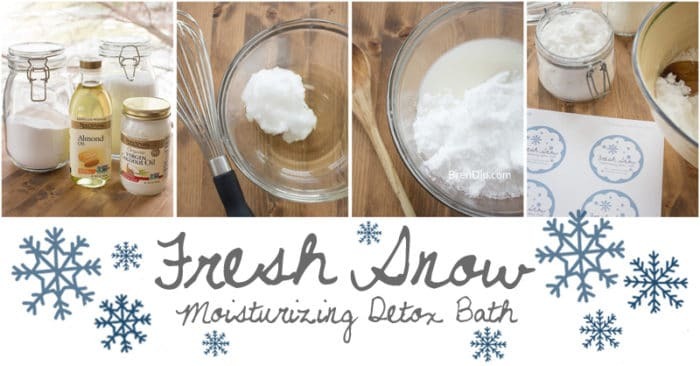 Fresh Snow Moisturizing Detox Bath – This moisturizing bath soak looks like freshly fallen snow. It contains natural oils to soften skin and magnesium rich Epsom salts to help relax your body and mind before bed. 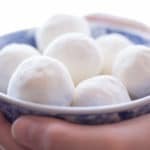 You can make and use this easy recipe today! 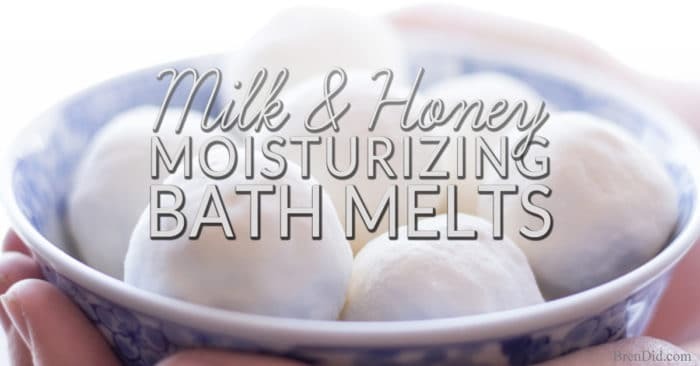 Milk & Honey Moisturizing Bath Melts – Homemade bath melts use powdered milk, honey, and natural oils to soothe itchy skin while you soak. 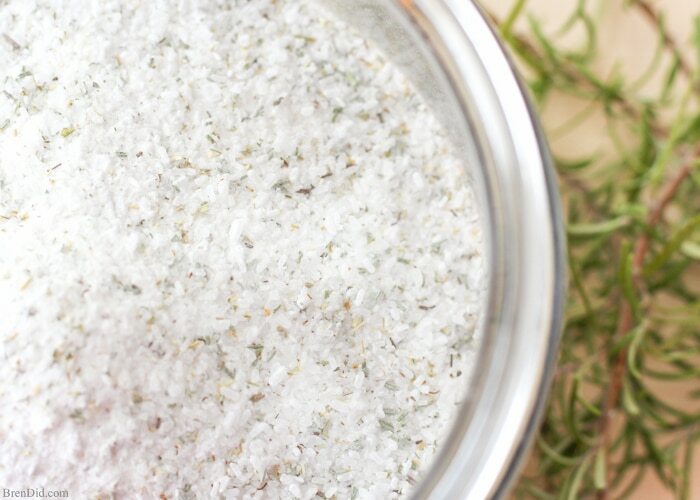 Get the easy recipe and rescue your skin with this all-natural bath soak. Can I use dried organic chamomile flowers instead of the tea? Yes, but I would be careful not to clog your drain! You can put the bath salts in a cotton or mesh bag to keep the leaves/flowers inside like a giant teabag. I love this recipe. I want to make it asap but I’m wondering, will the rosemary clog the drain if used regularly? I have not had a problem. If you are concerned you can place the mix in a cotton or mesh bag before placing in the tub. The herbs will stay in the bag and can be thrown away after the bath (just let the bag dry then turn inside out to throw herbs in trash, save bag to use again). Will chamomile or rosemary & mint mixed with Epsom salt harm planted roses? 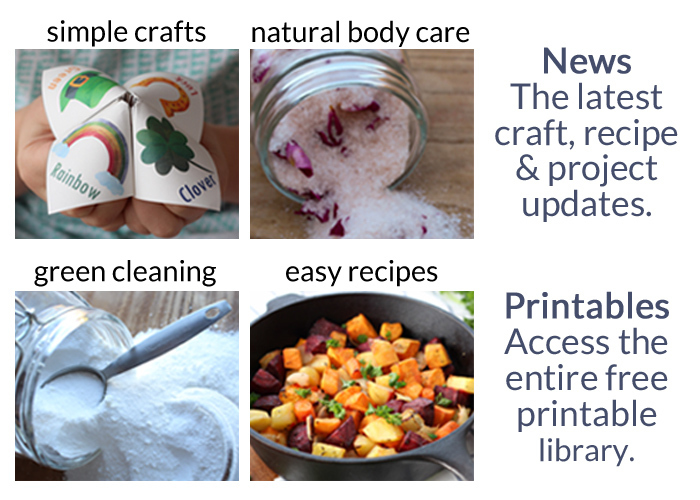 I’m not sure how they will affect plants, I would use plan Epson salt to be safe. This one in a clumped ball. I have done others and couldn’t get it to do that. This is the first time for baking soda. Do you have any ideas on what did that? I just put a bunch oil in it and made a scrub it works ok.
I’m not sure what happened, Carla. I’ve never had it clump. Did the mixture get wet or in a humid area?